Henry Marshall, William Taylor and Leslie Marshall. Taken near Killamarsh Central station. Approximately late 1940s. I don’t know if you can shed any light on William Taylor. 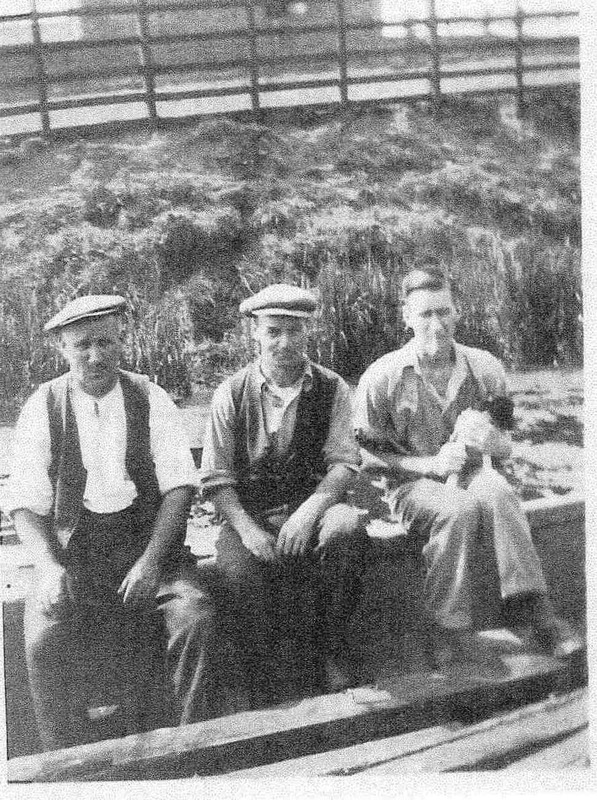 My father George Taylor 1910 came from Killamarsh. His grandfather was William Taylor 1844 and his father Mayfield Taylor who later married Harriett Kelk. They were part of an extra large family of Taylors in Killamarsh and connected to the Shepherds of which Mel and June are part of our family. Just wondered if William in the photograph was part of our family. Its taken a while to work out where this was taken.Its taken from the back garden of what was our old bungalow at the top Station Road Its not very clear but behind them is the cannel and the cannel bank leading up to the begging of Field lane and what was then Jimmy Dyers barn which is still standing now Regards Ron M.